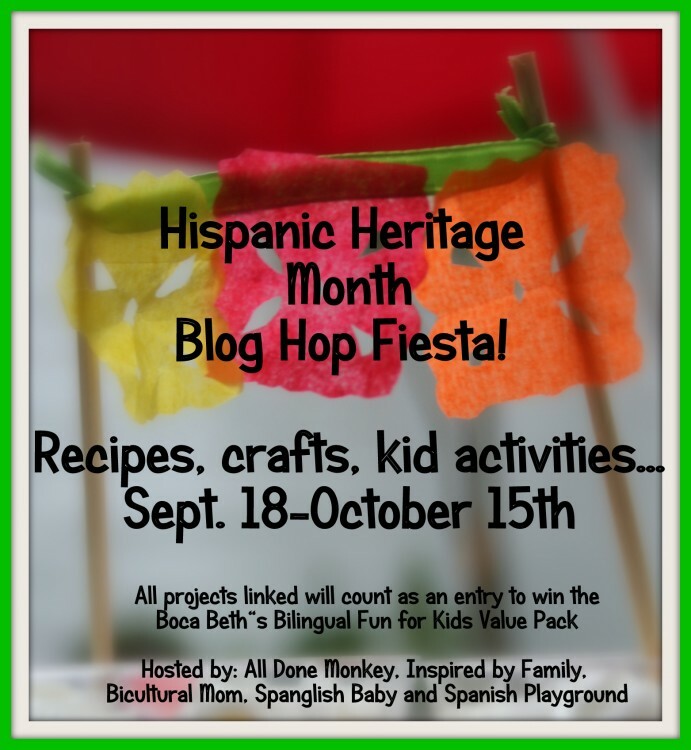 We are so excited to be co-hosting the first annual Hispanic Heritage Month Blog Hop Fiesta! Hispanic Heritage Month is going on now through October 15, so join us as we celebrate the rich cultural heritage given to our country by generations of Hispanics. The term Hispanic or Latino, as defined by the U.S. Census Bureau, refers to Puerto Rican, South or Central American, or other Spanish culture or origin regardless of race. Link up below any posts related to activities, crafts, music, recipes, and more for celebrating Hispanic Heritage Month. The blog hop will be open through October 15, so feel free to come back and share additional posts throughout the month. We will be featuring posts from the blog hop throughout the month on our Facebook page and Raising Global Citizens Pinterest board. As if that weren’t enough, simply by linking up you will be entered to win a great prize from Boca Beth! (See details below). We are proud to be co-hosting with five amazing blogs. 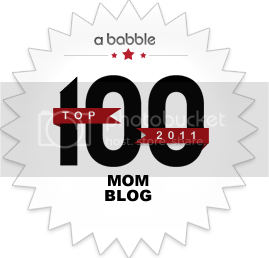 This means that by linking up below your post will automatically appear on all of these blogs as well. They are great resources, so be sure to visit them! 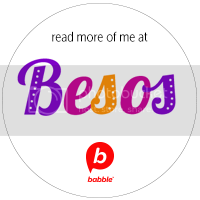 Though it is not necessary in order to participate in our Fiesta Blog Hop, please visit these great blogs and consider following them. 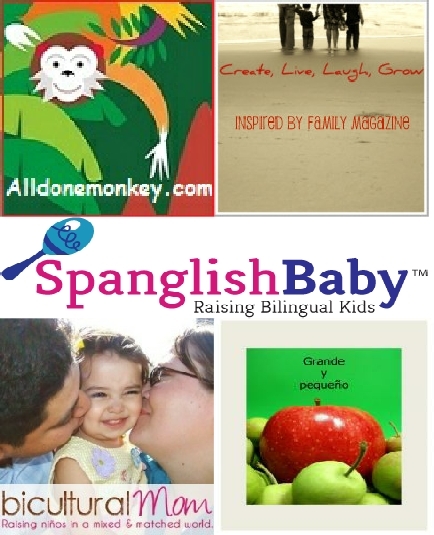 They are all wonderful: All Done Monkey, Inspired by Family Magazine, Spanglish Baby, Bicultural Mom and Spanish Playground. Though it’s not necessary to follow us in order to participate in our Fiesta Blog Hop we would love it if you do! We would love to keep in touch with you via Facebook, Twitter or Feedburner. Now let’s see what you’ve been up to y ¡que empiece la fiesta! 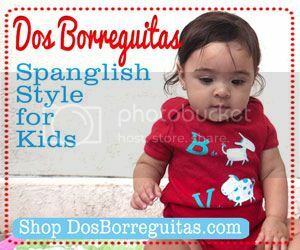 Our Giveaway: Boca Beth Starter Set of Spanish Learning Fun! We are so pleased to announce that we will be giving away the Boca Beth Beginner Backpack to one lucky winner! This prize, valued at $49.99, includes a Starter Set of Spanish Learning Fun: DVD, CD, Boca Puppet, back pack and much more! You may have seen Boca Beth Videos on educational channels and the U.S. Department of Education recommends them. Stop by and check out their fabulous products. To enter, simply link up your ideas for Hispanic Heritage Month above (the blue frog). Each project submitted will be considered an entry. Must have a US shipping address to win. So happy to see your new book is out amigas! Exciting!!! 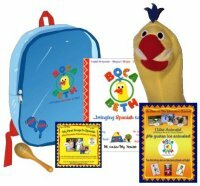 Thrilled to be providing our $50 Backpack set full of Boca Beth bilingual music fun for Hispanic Heritage Month. Buena suerte / good luck to all.